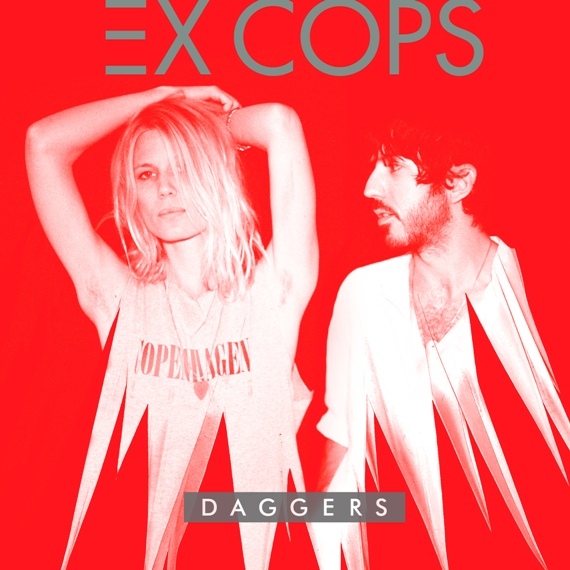 Ex Cops, a nomadic duo featuring Amalie Bruun and Brian Harding, brings the hook-heavy blast of ‘90s alt-rock into a new era on their second album Daggers. Executive produced by icon-of-form Billy Corgan and produced by Justin Raisen (Sky Ferriera, Charli XCX, Kylie Minogue), the record rescues guitar-pop from the bedroom, returning it to the stage it deserves. 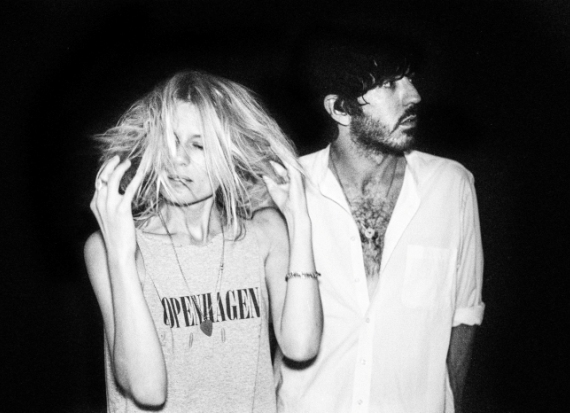 Formed in 2011, the group’s first album True Hallucinations, released in early 2013, was a critically-acclaimed collection of sprawling indie-pop. From the exuberant “Spring Break (Birthday Song)” to the band’s dreamy debut “You Are A Lion, I Am A Lamb,” the John Siket-produced record (Blonde Redhead, Yo La Tengo) was a genre-jumping opening salvo and its wall-to-wall guitars set the tone for their new album. 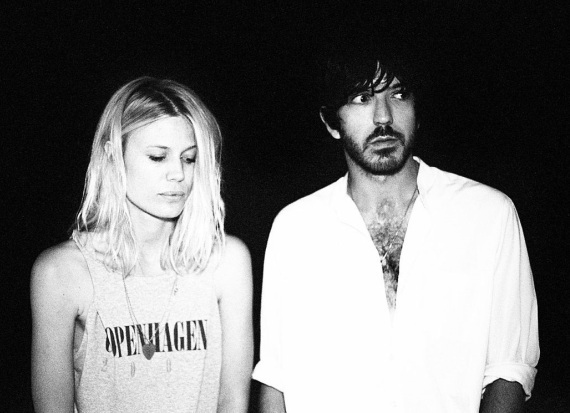 The result reinvents modern rock. “White Noise,” with its addictive chorus, merges guitars that could make your teeth ache and a motorik electronic pop pulse. The impeccably-produced “Teenagers” brings club-ready downtown pop to an anthemic peak, while “Black Soap” shifts shoegaze textures to stadium status and “Rooms,” one of the album’s emotionally-resonant ballads, packs a substantial punch.